A regular diet that consists foods high in magnesium, such as unrefined grains, leafy green vegetables, peas, beans, nuts, and seafood, may make-up for the body’s requirement of nutritional magnesium. The human body requires many minerals, among which magnesium is an important and indispensable one. As per Mg12.info (magnesium online resource center), magnesium is the 4th most abundant mineral found in the human body; 50-60% of magnesium is found in the bones. A regular diet that consists foods high in magnesium, such as unrefined grains, leafy green vegetables, peas, beans, nuts, and seafood, may make-up for the body’s requirement of nutritional magnesium. The body requires magnesium for a set of diverse functions including over 300 biochemical and metabolic reactions. These include fat and carbohydrate metabolism to produce energy; synthesis of proteins by ATP (adenosine triphosphate, the ‘energy currency’ of the body); to ensure proper functioning of many enzymes; for the synthesis of DNA and RNA, etc. Magnesium also promotes healthy body immunity, aids in proper nerve and muscle function, keeps bones strong, enables transportation of calcium and phosphorus across cell membranes, and keeps blood sugar levels in check. Infrequently, decreased body magnesium levels are observed, which can cause fatigue and weakness, sleepiness, muscular twitching, poor memory, rapid heartbeat, and even delirium, in the case of a severe magnesium deficiency. Such deficient states are normally seen in individuals with gastrointestinal disorders, diabetes type 2, alcoholics, those with poor blood calcium levels, or individuals under stress and trauma (from burns or due to a surgery). According to the US National Academy of Sciences, Food and Nutrition Board, the recommended dietary allowance (RDA) of magnesium for teenage boys and men is between 240-420 milligrams/day, and for teenage girls and women it is between 240-360 milligrams/day. The RDA during pregnancy and for lactating mothers is slightly higher than that for adult women. An adult body loses about 120 milligrams of magnesium each day through the urine. It is always recommended to take the advice of a suitable healthcare professional before bringing any alteration to your regular food habits and diet or before taking magnesium supplements. Any deficient or excess magnesium situation in the body can cause health issues, though it is quite rare. Apart from wide-ranging disorders that affect multiple body systems, deficient magnesium levels can affect all the major organs, such as the heart, brain, liver, kidneys, endocrine glands, including the nerves and muscles. 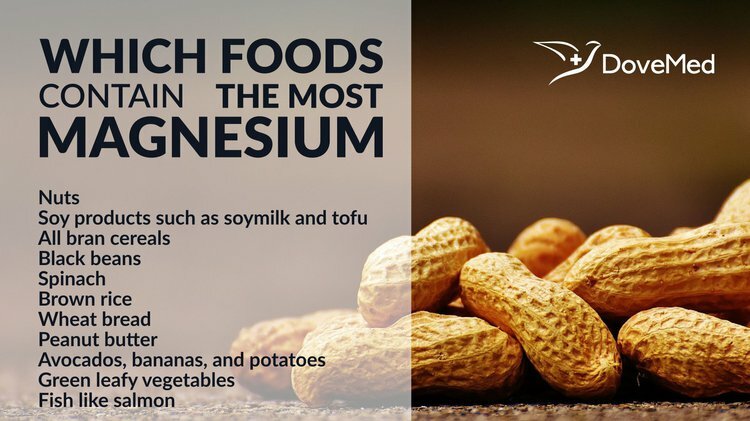 Excess body levels of magnesium are also not observed oftentimes because the kidneys excrete any excess magnesium through urine. van Dam, R. M., Hu, F. B., Rosenberg, L., Krishnan, S., & Palmer, J. R. (2006). Dietary calcium and magnesium, major food sources, and risk of type 2 diabetes in US black women. Diabetes care, 29(10), 2238-2243. Coudray, C., Demigné, C., & Rayssiguier, Y. (2003). Effects of dietary fibers on magnesium absorption in animals and humans. The Journal of nutrition,133(1), 1-4. He, K., Liu, K., Daviglus, M. L., Morris, S. J., Loria, C. M., Van Horn, L., ... & Savage, P. J. (2006). Magnesium intake and incidence of metabolic syndrome among young adults. Circulation, 113(13), 1675-1682. Moe, S. M. (2008). Disorders involving calcium, phosphorus, and magnesium. Primary Care: Clinics in Office Practice, 35(2), 215-237.